How does commercial gym equipment differ from the models designed for the home? The biggest difference is in the quality – commercial gym equipment has to be able to handle a much higher level of use, and abuse, that would quickly wear out home models. Whereas a treadmill or stationary bike might be used two or three times a week at home – for a couple of hours total use – commercial gym equipment could be in use for twelve to sixteen hours a day, six or seven days a week. This means all of the parts have to be able to withstand incredible amounts of use, plus any motors need to be able to run hot, as they will not have time to cool down between users. In addition, people tend to take much better care of their own equipment, so you should expect that some users won’t treat commercial gym equipment with the respect it deserves. That means that for commercial buyers, durability and reliability are the biggest considerations when comparing manufacturers and suppliers – and this means not only how good is the equipment, but also how good is the supplier? Customer support is vital, because even the best equipment in the world is going to have problems, and at that point the speed of response of the supplier will be crucial. Of course, once you are confident that the equipment will have the quality and durability you are looking for, other issues come into consideration. With cardio machines – treadmills, bikes, steppers, rowers, cross-trainers and so on – the options are increasingly important. Clients expect machines to have heart rate monitors these days, while a wide variety of interesting programs will keep people coming back again and again, and allow them to challenge themselves. In addition, most models have a variety of increasingly sophisticated multi-media options, to allow people to choose how to amuse themselves while they are working out. Strength equipment has fewer issues – good quality free weights have an incredible life span, but strength machines present some of the same issues as cardio machines, with durability, reliability and ease of use being major issues. Floor space is also an issue with strength training equipment, so machines that allow for two or more exercises to be performed are popular with both owners and users. 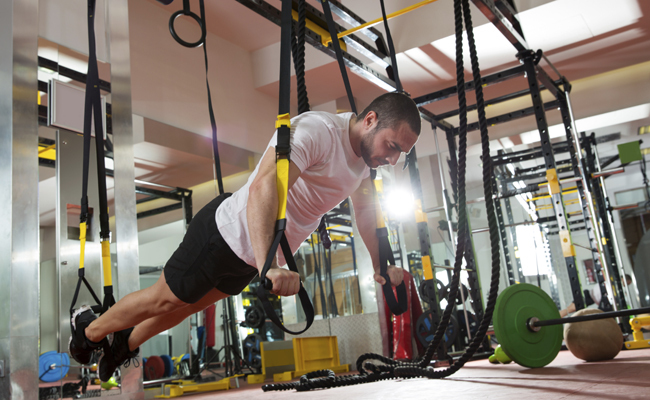 It is for this reason that simple equipment like cable machines are still so popular. Finally there is the issue of cost. Equipping a gym or club can be staggeringly expensive, so price comparison shopping is absolutely essential. If you can get quality, durability, ease of use and a good price all in one package, you’ve found exactly what you are looking for!